The county has a total area of 622 square miles. Bucks County has 31 townships, 23 boroughs, 18 census-designated places and five unincorporated communities. 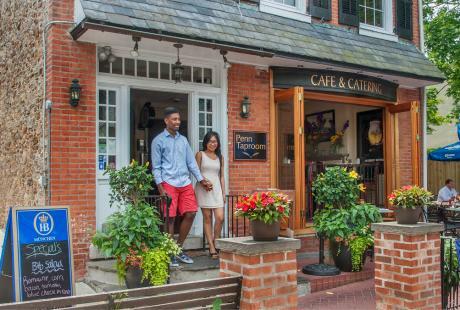 Bucks County is home to five colleges, 15 public school districts and eight private schools. 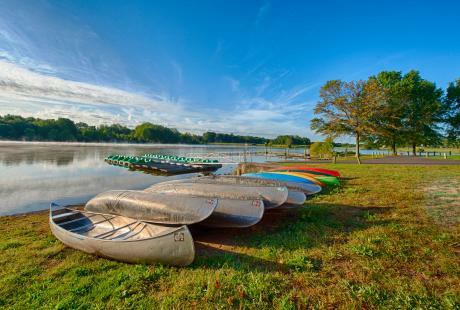 There are 16 county and state parks in Bucks totaling 7,500 acres. Hikers can enjoy 475 miles of trails in the county. Bucks County is a golfer’s haven with 28 public and private courses. 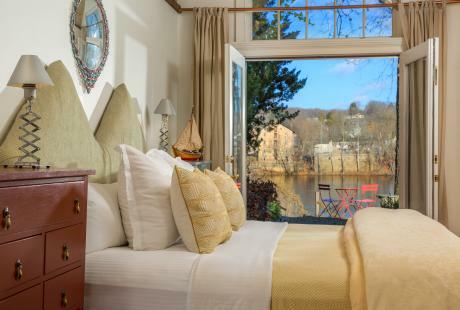 There’s always room for you at Bucks County’s more than 4,300 hotel rooms. Bucks County was founded in 1682 by William Penn, the founder of Pennsylvania. He named the County after Buckinghamshire, his family home in England. Pennsbury Manor, Penn&apos;s Colonial summer home, has been rebuilt on the original estate and is available year-round for group tours. The Logan Inn in New Hope is the oldest continuously running inn in Bucks County and the 5th oldest in America. Established in 1727, it offered its services to George Washington and his men and is said to be home to at least four ghosts. 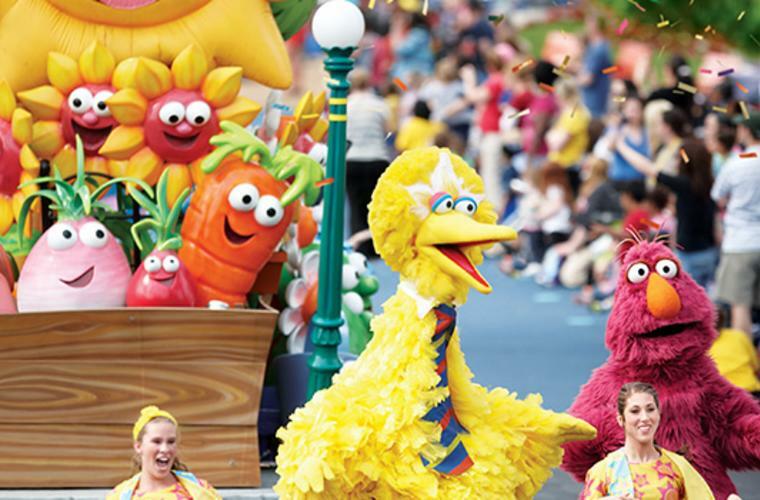 Sesame Place in Langhorne is the only amusement park in America solely themed after the popular children’s television show, Sesame Street. The park has more than 25 rides and is open from late-April through December. John Fitch built the first steam-powered boat in the U.S. in Warminster in 1785. It traveled nearly 3,000 miles in 1790, transporting passengers and freight between Philadelphia and Trenton. A six-foot long, steam operated model of the first steamboat can now be seen at the John Fitch Steamboat Museum in Warminster. The movie Signs, directed by M. Night Shyamalan and starring Mel Gibson, was filmed and takes place in Bucks County. The scenes in the bookstore and pizza shop were filmed in Newtown and the scenes of the house and cornfield were shot on 40 acres of land belonging to Delaware Valley University in Doylestown. The pharmacy scene was shot in Morrisville. 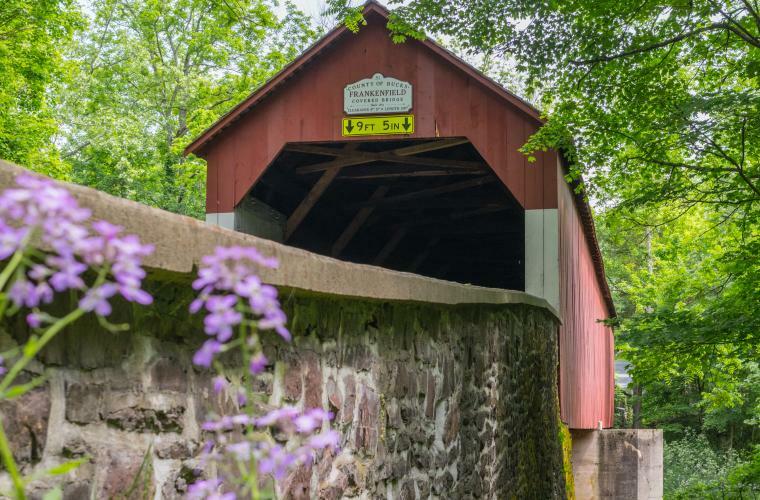 Bucks County is home to 12 covered bridges, many located on the beautiful country back roads. Use these turn-by-turn driving directions to take a self-lead tour! 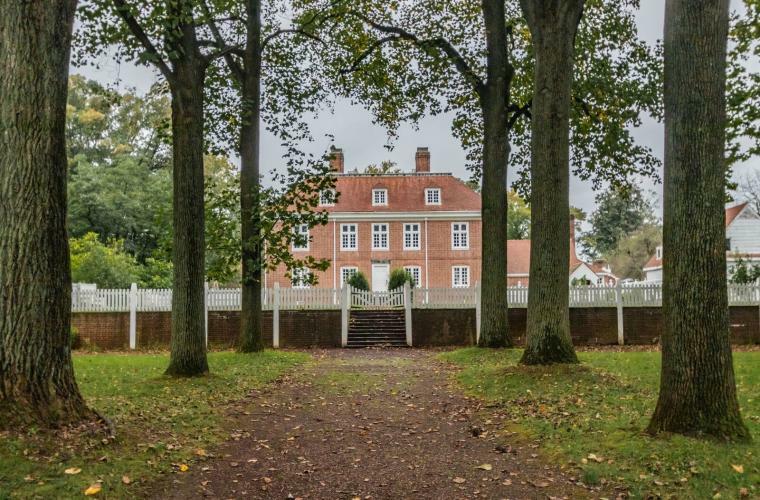 In 1777, General Washington had his headquarters at The Moland House in Hartsville, where it is believed that the "Betsy Ross" flag was first flown. 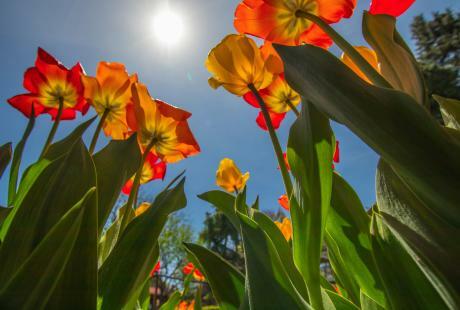 Guided tours of The Moland House are available on the second Sunday of every month. The Bucks County Playhouse opened on July 1, 1939 and over the next 70 years hosted the Who’s Who of Hollywood and Broadway legends including Grace Kelly, Angela Lansbury Bea Arthur, Walter Matthau and many more. 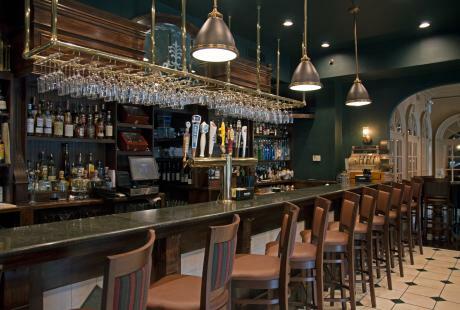 See a play and then grab a drink or dinner out back at The Deck! The massive stone walls and warden’s house that reside on the grounds of the James A. Michener Art Museum are there because the modern art museum actually began as the Bucks County Prison back in 1884. The museum is now home to a world class collection of Pennsylvania Impressionist paintings. Bucks County is home to the Bucks County Wine Trail, comprised of eight wineries, each with their own distinct charm and specialty wines. The gentle rolling hills, deep well-drained soils, and moderate climate combine to make Bucks County one of the premier grape growing regions of the East Coast.